Photo signed by all three founding members of The Supremes: Diana Ross, Mary Wilson, and also Florence Ballard, whose signature is rare. 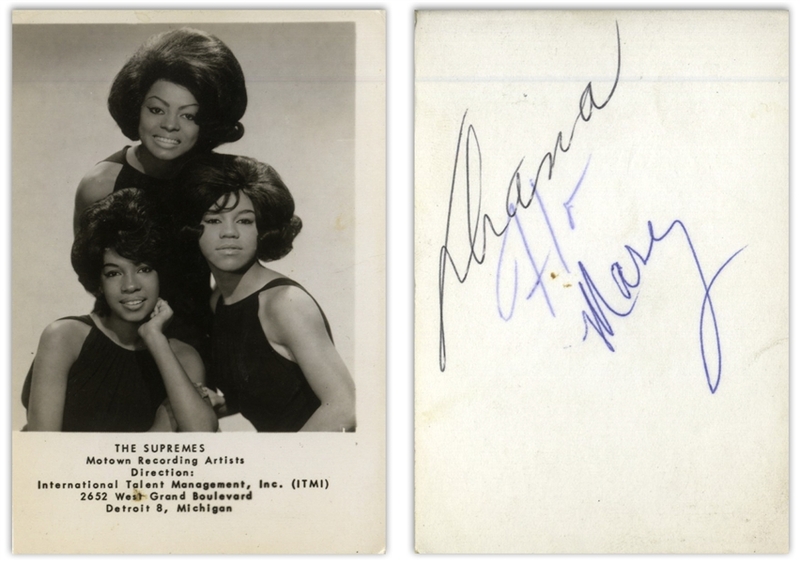 Signed by each woman on the verso of the photograph in blue and black ink, circa early-mid 1960s. The Supremes are still the most successful American vocal group, having 12 number one singles on the Billboard charts. Photo measures 2.375'' x 3.5'', with trimmed left edge. Very good plus condition. 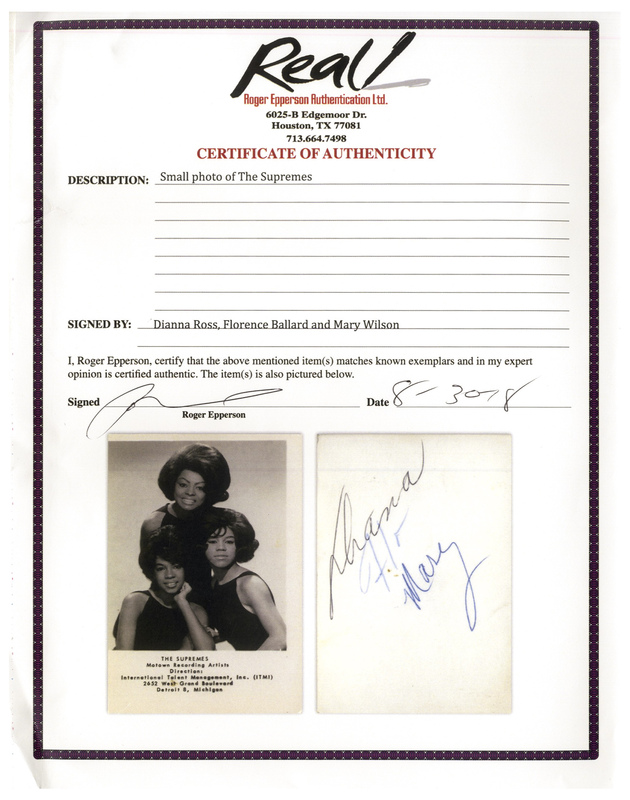 With Roger Epperson COA for all three signatures.